This coin was ordered in anticipation of the son's entering the partnership, but this was never consummated. Text : Commerce token. 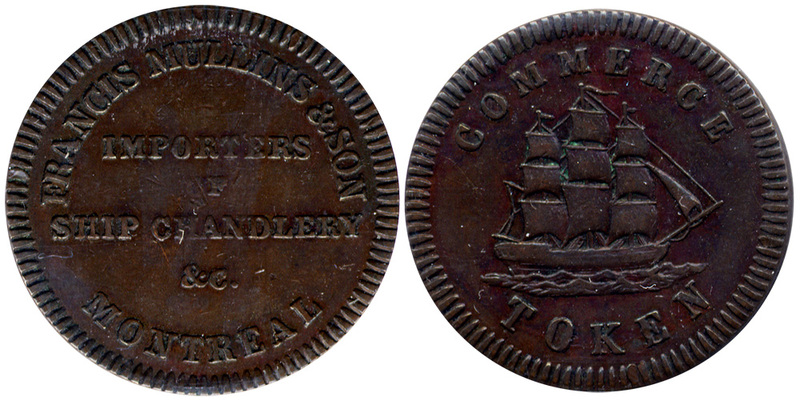 Francis Mullins & Son - Importers and Ship Chandelery &C - Montreal.